Dr. Nellie Goetz is a Clinical Assistant Professor of Shelter Medicine at Midwestern University's College of Veterinary Medicine in Glendale AZ. She received her DVM from The Ohio State in 2005 and her Master of Public Health from Johns Hopkins Bloomberg School of Public Health in 2017. She has practiced both large and small animal medicine, and after working initially in private practices, Dr. Goetz decided that she wanted to concentrate her efforts on spay/neuter, helping to end shelter pet euthanasia. 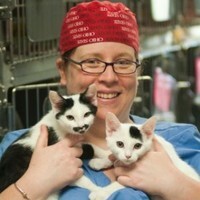 From 2012 to 2014, she was the Medical Director of the National Spay/Neuter Response Team at the Humane Alliance in Asheville, NC. At Midwestern University, Dr. Goetz teaches in the Shelter Medicine and One Health courses, as well as teaching the 4th-year clinical Shelter Medicine rotation. She is the faculty advisor for the newly-formed student chapter of the HSVMA, as well as the student chapters of the International Veterinary Students Association (IVSA), Animal Welfare Club and Trap-Neuter-Release Clubs. Dr. Goetz's research interests include veterinary outreach to under-served communities, environmental health disparities in American Indian communities, and high-quality, high-volume spay/neuter (HQHVSN) practices & protocols. 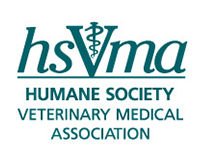 Dr. Goetz is a member of the Development Committee of the Association of Shelter Veterinarians, the Veterinary Special Interest Group of the American Public Health Association, and she is an Advisory Council member of the Native American Humane Society.